ANOTHER BRAND NEW LISTING FROM THE BELT TEAM!! WALK TO TOWN! Delightful rambler on a lovely .27 acre lot in close-in Vienna and in the sought after Madison High School pyramid! Charming rambler on a quiet street with welcoming curb appeal. Brick accent and shutters add character to the front exterior. Large kitchen addition with dining area has French door access to deck plus 2 tall windows  offers a great view of the backyard and a great spot to enjoy a family meal or a morning cup of coffee! Kitchen features a greenhouse window over sink to bring in natural light. A center island provides additional countertop space. Youll find plenty of cabinets for storage. A ceiling fan overhead keeps you cool when youre busy cooking! Large family room with fresh paint and new carpet in neutral colors (2009). Makes a great playroom/TV room/exercise space. Public water and sewer means no well or septic to deal with! No HOA means no monthly fees! including Starbucks & Cold Stone Creamery! Town taxes include town police, trash pick up, leaf collection, snow removal & other benefits. Easy commuting via Vienna Metro, Route 123, I-66, Route 7 & the Beltway! including Meadow Lane Park, the Vienna Dog Park, lighted ballfields & tennis courts, playgrounds, hiking/biking trails & the Vienna Community Center with many classes, activities, plays & community events including Club Phoenix (for teens & pre-teens!). Vienna is known for its Halloween Parade, Viva Vienna & July 4th celebrations as well! INOVA Hospital is easily accessible. For more information call The Belt Team directly at (703) 242-3975 or for a faxed brochure call our 24 Hour Toll Free Information Line at: (888)285-6435 x229. BRAND NEW LISTING IN OAKTON! This sunsplashed colonial with gorgeous curb appeal offers the best in family living & lighthearted elegance! The home is situated in ever popular Fairwinds & is gracefully sited on one of its loveliest lots (1.5 acres! ), providing a quiet and serene setting. Inside youll find extensive moldings and millwork, plus stately wrap-around brick detail on the exterior. Over $80,000 in upgrades have been completed in the last 2 years! Take advantage of the unbeatable location, centrally located to Tysons Corner, Fair Lakes, Fair Oaks and Dulles International Airport with convenient access to Washington, DC and its surroundings. Directions: From I-66 to Rte 123/Chain Bridge Rd, Left Hunter Mill, Left Vale Rd, Right Fox Mill, Left Helmont, Left Saddle Crescent to #11700 at end of cul-de-sac. Come see Francis Young Estates in Vienna – A fabulous new home community of 15 homes on two cul-de-sacs. AND in the Madison High School District! Prices start at $1,299,900. MYTH: Ive heard a lot of news about how awful the real estate market is and how tough it is to get financing. Now must not be a good time to buy. I should wait until things settle down. Its a Buyers Market. This means as a Buyer, you have more bargaining power. As things settle down, sales will increase, inventory will decrease and the market will begin to stabilize. At this point, Buyers will have less bargaining power than they do now. Because we are currently in a Buyers Market, Buyers are also seeing Sellers pay closing costs, condo fees and all sorts of other things. Mortgage interest rates are at historical lows. Fixed rate financing with low down payments is still available. In 1971, FHLMC fixed rates averaged 7.48%. Current FHLMC fixed rates are in the 5% range. Do you know anything else you can buy in 2009 that costs less than it did in 1972?! Inventory is very healthy. This means as a buyer, you have many good choices. Today is a much less stressful time to buy. A few years ago, if you were a Buyer, you often had to make a decision within a matter of hours or someone else would buy the home you wanted right from under your nose. Today, we are not seeing as many multiple offers. You have time to think, analyze and make decisions with both your heart & mind. The Stimulus Package has provided a great opportunity for First-Time Homebuyers  but it will only last so long. First-time homebuyers are eligible for a maximum $8,000 tax credit. This is effective for purchases through then end of 2009. If the home is sold more than 3 years after purchase, the credit is not even re-captured upon sale. If you are currently renting, you can build equity for YOUR Future, not your Landlords! And with the tax advantage you gain from your mortgage interest deduction, it can often cost less to buy than to rent! If you currently own, and are moving up, you will gain in todays market. Your home may not sell for as much as it would have a few years ago, but the home you are moving up to will also be selling for less. Heres an example  say that values in your area have dropped by 12%. The home you live in will now only sell for $666,000 instead of the $750,000 you had hoped for – an $84,000 loss. However, the home you are moving to  which originally would have sold for $975,000  is now selling for $858,000  a savings for you of $117,000. In this example, you come out $33,000 ahead and now live in a nicer, larger home. .if not for you, then maybe for your children or grandchildren! The Belt Team . . .Serving all of your real estate needs in Vienna, Oakton, McLean, Great Falls, Arlington, Reston, Fairfax and the entire Northern Virginia Region! (703) 242-3975. Contact us today for a FREE home valuation or buyer counseling session! Custom quality built home with fantastic curb appeal. Nestled on a beautiful acre of privacy on a cul-de-sac lot mere minutes to excellent schools, convenient shopping & easy commuting. Enjoy soaring ceilings, spacious rooms & a stunning yard! Directions: I66-Rt 123N, L Jermantown Rd., R Oakton Rd to fork at Waples Mill Road, continue on Waples Mill, L on Waples Glen to #3403. For more info, contact The Belt Team at (703) 242-3975. NEW BELT TEAM LISTINGS COMING SOON! Watch our web site closely (www.TheBeltTeam.com) for some gorgeous new listings! We have a beautiful resale in Vienna coming on the market tomorrow at around $1.2 million. And another coming tomorrow in Oakton at just under a million. Plus a new home to be built in Vienna at $1,125,000. And stay tuned….because next week, we have a lovely resale in Oakton coming on the market at just under $1.2 million and a fantastic Vienna Woods home under $500,000! For more info, contact The Belt Team at (703) 242-3975! The Belt Team . . . Serving all of your real estate needs in Vienna, Oakton, McLean, Great Falls, Arlington, Reston, Fairfax and the entire Northern Virginia Region! Contact us today for a FREE home valuation or buyer counseling session! Open House in Vienna This Weekend! Open House in Kensington This Weekend! 495 (Capital Beltway) to Exit 33 (MD-185N) toward Kensington. Turn Left onto Dunnel Lane. Turn Right onto Byeforde Road. For more information, contact The Belt Team at (703) 242-3975. OPEN HOUSES IN VIENNA THIS WEEKND! DIRECTIONS: Route 66 West to Vienna exit, Rt 243/Nutley Street to Rt 123/Maple Ave, Right Maple Ave, Left on Lewis St (by Amphora) to #314 Lewis St. OR from Tysons: Rt 123 into Vienna, through town, Right Lawyers Rd, Left West St, Left Lewis to #314 Lewis. A fabulous new home community of 15 homes on two cul-de-sacs. AND in the Madison High School District! Prices start at $1,299,900. 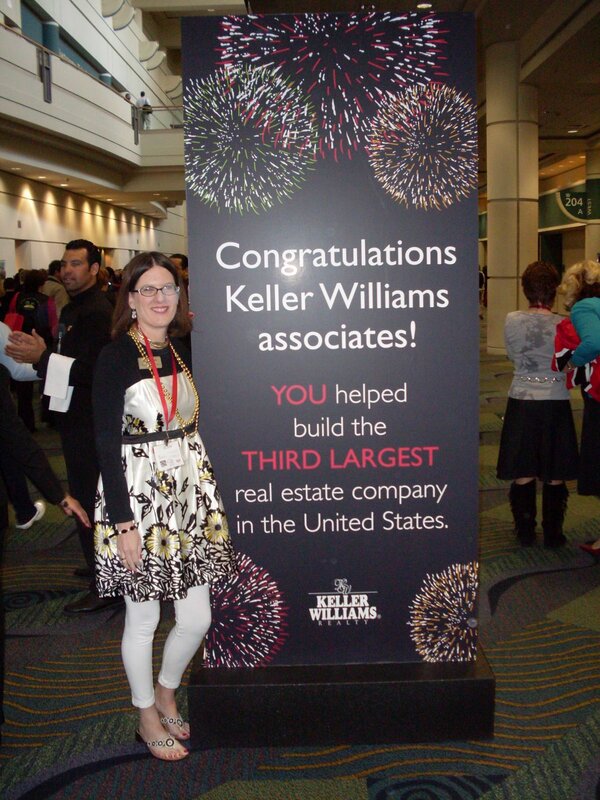 Keller Williams Realty Is On The Move! We are happy to announce that in one of the most challenging real estate markets we have ever faced, Keller Williams is still doing it right. We are so very proud & excited to announce that our company ranking has moved up to #3 Real Estate Company in the entire United States! If these values coincide with your values….and you’re looking for a team to represent you in buying or selling a home in Northern Virginia – call The Belt Team at (703) 242-3975. For those of you who are detail oriented, here is a statistical breakdown of our marketplace by zip code. Feel free to contact us for information on other zip codes. We are proud to note that historically, the average days on market for a Belt Team listing is significantly lower than the current market average. And in addition, our average sale price-to-list price ratio is much higher! Copyright 2009 – Information deemed reliable, but is not guaranteed.